I have returned from the land of lazy bloggers, and I come bearing gifts for anyone who is still checking up on me despite my less than courteous online presence. I hope I never return to lazy blogger country. I apologize for not paying as much attention to this blog as I probably should have been, but I can honestly say that I am going to be able to keep it more current and exciting, because the gears are moving in all of the right directions to actually post some interesting stuff. I’m going to integrate my tumblelog into this website, at some point, in order to deliver more frequent posts about topics of interest rather than just posting about me, what I’ve made, and what I’m doing. 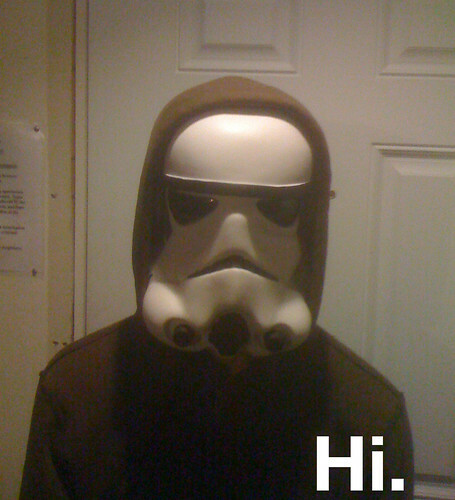 I’ve made some music for you and your ears. First off, I posted a new original track. Hope you dig it. Here are two mashups, both older, and one unheard. I have been told my a lot of different people that the link to $hwagger Jagger was no good anymore, so I figured I’d repost it. So there you go, one new track, 2 unposted tracks, and another one that people were having a hard time getting to the last time around. I hope you listen to them all and each one becomes a friend to your ears. On top of these tracks I’ve been working on a second song/level for the ongoing Planck project. We’ve been entering it in many different independent game competitions, and we’ve gained a lot of insight to guide us along the process more smoothly. It’s been one of the more challenging projects that I’ve been involved with, but it has definitely been rewarding. Last year around this time, we were getting prepared to submit our first iteration of Planck, which has been completely rehauled into what you see below. You can watch the video in the really tiny format posted, listen to the music, or maximize it to see it in its full glory. If you like what you see, please email me for a downloadable playtest demo of the first level. 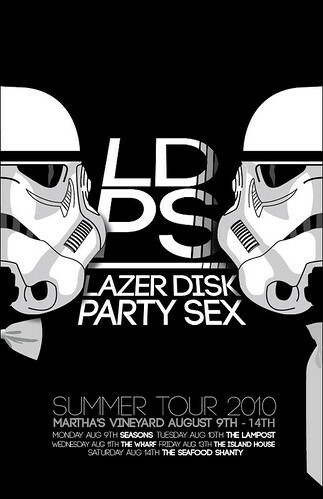 Starting August 8th, ZJ and I will embark on the first leg of our Lazerdisk Partysex tour. We’re hitting up places all around Martha’s Vineyard for the second week of August. We’re doing a promotion through foursquare, where if you check into every one of the venues that we’re at, and show us that you’re there, we’ll give you a free T-shirt on Saturday. It’s going to be a lot of fun, and if you are in the area come to the Vineyard because we’re going to rock it upside down and inside out. Until next time. Peace twice!